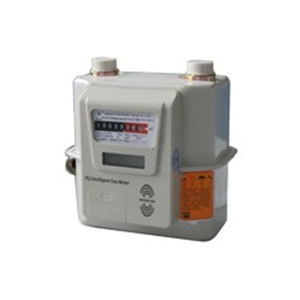 Contactless IC Card Gas Meter is suitable for measuring the flow of natural gas, coal gas and liquid gas. One household fixed one meter and consumer uses gas by IC card. No need of house call fee-charge and avoid owing. 2. Micropower energy consumption technique ensures two years service life of inside batteries. 3. Power by 3 pieces of AAA alkaline batteries and automatically close valve when change batteries. 2. Compact size, light weight, high sensitivity and accuracy. 3. High metrological performance, low pressure loss and steady operation. 4. Moving parts are self-lubricating materials with lower friction, which can prolong the service life of meter. 5. Inside simple absolute structure is suitable for different kinds of gas, can filter and precipitate the impurity or dust. 6. Whole meter design against illegal access. 7. High quality internal plastic and stainless metal components, internal and external protection with powder painting guarantees a long service life.